Neocon pundit Jennifer Rubin wants to bomb Iran—but doesn’t even have her facts straight. Updated below. A story in the press this week about Iran sheds a little light on how detached some of Washington’s inveterate Iran hawks are from reality. Opponents of diplomacy and advocates of military force are of course entitled to their opinions, but they’re not entitled to their own facts. And yet that’s what some of them offer to support their positions. But first some background. 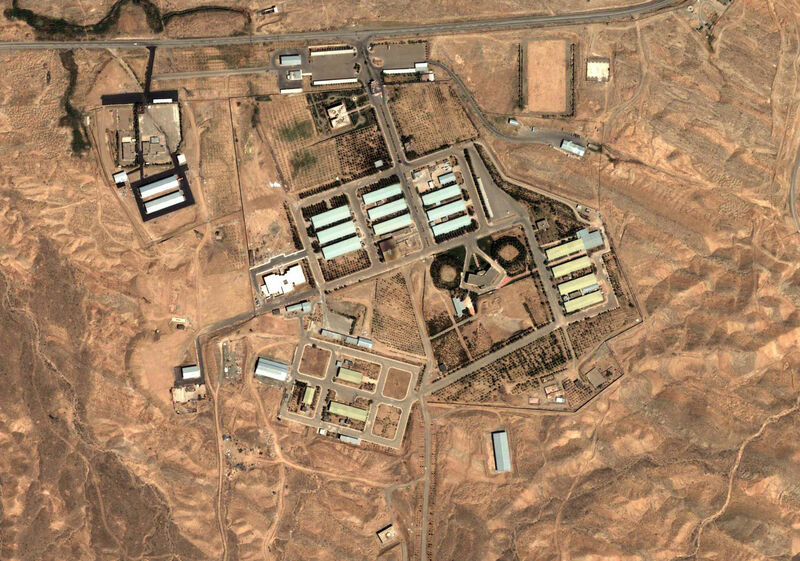 The news item concerned an explosion at an Iranian military facility, reportedly in or near Parchin, a controversial site deeply intertwined with negotiations over Iran’s nuclear program. Parchin is considered an important facility in all the diplomatic wrangling because intelligence agencies and watchdog groups suspect the site was used to test detonators that could be used in an explosive nuclear device. It’s relevant to note—though hawks rarely will—that these suspicions of “possible military dimensions” of Iran’s nuclear program date back to pre-2004, after which point Iran is thought to have shut down its weaponization program. In negotiations, Parchin has been a lightning rod because accounting for Iran’s possible past nuclear weapons work is a notional aim of a final accord with world powers. So far, however, Iran has complied with only some of the “outstanding issues” laid out by the International Atomic Energy Agency (IAEA). And that’s where the hawks come in. Take Jennifer Rubin of The Washington Post. Rubin’s post on this week’s explosion wasn’t surprising because of the triumphalist tone she strikes over the possibility that this was an act of covert war—from 2010 through 2012, several mysterious explosions have killed nuclear scientists and military officials—but rather because she stuns with her inability to grasp the basic facts about Parchin. With regard to the explosion, Rubin quotes a news report stating that Parchin hasn’t been inspected by the IAEA since 2005. She then states: “That is right—the West still has had no access to one of Iran’s key enrichment sites yet has now twice extended sanctions relief.” That is not right—and it deserves a correction. The absence of inspections at Parchin is troubling because of the alleged nuclear trigger testing, not because of enrichment; in fact, Parchin is not an “enrichment site” at all, let alone a “key” one. Rubin also doesn’t seem to know that no one currently suspects ongoing nuclear weapons work at Parchin. Instead, the IAEA wants to examine the site for evidence of pre-2004 work there (residual radioactive traces would likely persist). Her analysis misses entirely that Iran destroyed an outbuilding there and paved over part of the site—an effort, many suspect, to literally bury the evidence of its past experiments. So what sense, then, would it make for saboteurs to destroy the Parchin site further with an enormous blast? Not much, unless you are, as Jim White suggested, Iran trying to cover your tracks. It’s all the more galling, then, that Rubin leverages her misunderstanding of these matters to propose—what else?—beefing up Israel’s military option against Iran’s nuclear program. She suggests sending Israel bunker-busting bombs “along with an appropriate delivery system” (large bomber aircraft, in other words). “It seems remarkable that the administration is making so little effort to amplify the potential for Israeli action,” Rubin writes. Well, it’s not really remarkable: Israel has been a thorn in the side of US efforts to engage Iran over its nuclear program from the start, lodging a campaign rife with misinformation against talks and lambasting the interim deal as a “historic mistake.” Rubin, for her part, has favored attacking Iran militarily as far back as 2010. Rubin isn’t alone. David Frum, the former Bush speechwriter, also lodged a complaint similar to Rubin’s when he said the lack of inspectors’ access to Parchin “reminds us how limited and defeated U.S. inspection rights have been in Iran, through this year of negotiation.” But actually, experts roundly agree that the November interim deal significantly strengthened the inspections regime, allowing daily inspections at Iran’s enrichment sites instead of scheduled visits with constant monitoring (Jen Rubin, take note). The attention to Parchin is partly deserved and partly a distraction. There should be accountability for Iran’s past actions, but as nuke expert Jeffrey Lewis has argued, understanding exactly what Iran has done in the past is not essential for ensuring that a nuclear deal would prevent Iran from constructing a nuclear weapon. Either way, the hawks are entitled to an incessant focus on the site, but they ought to get their basic facts right. That is right — the West still has had no access to one of Iran’s key enrichment testing sites yet has now twice extended sanctions relief. That's certainly more accurate, but doesn't capture that, again, experts and policy makers suspect the site was used for nuclear trigger testing a decade ago, not today. Nonetheless, at least the post no longer flagrently misrepresents what the facility's suspected role.